I've had a week now to reflect on the 49th Rotorua Marathon. It was an event I'd trained a year for at my goal pace of between 4.44 min/km and 4.51 min/km. I'd achieved this week in and week out in my long runs for the last 12 weeks and yet on the day ran 5.21 min/km. I'll say it again a 5.21! Bloody hell. The nice thing about finishing a running plan is that you can tear it up, throw it away and start again. So what had my plan been? 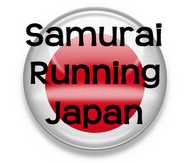 My week began with a Tuesday recovery run of 11 km run at 4.51 min/km. Thursday a faster marathon paced run of 16 km at 4.35 min/km to 4.44 min/km. My third and final run for the week was my Sunday long run of between 21 km and 33 km at a pace of 4.51 min/km. Three runs a week on fairly flat terrain for a total of 54 km/week. I know it wasn't something Arthur Lydiard would have prescribed but isn't running about being patient? I'm going to spend the next week or so assessing whether or not to run the Wellington Marathon in 6 weeks time. More importantly I'm going to look for a running programme that will get me closer to Boston. I have a funny feeling it will involve Yasso 800's, hill work, interval training and more that 3 runs per week. Hi Richard. I uploaded this blog just yesterday and your comment is my first. I'm afraid there's no prize though. I've had a look online and come across McMillan's Calculator. He suggests my recovery run be at between 5.30 and 6.00! You are spot on although it's hard to get my head around how that would be of any benefit. Time to listen to the experts though. Thanks for the push Richard. Hi Mark, yes I also found it hard to understand how running slower would make me faster! If your interested have a look at what Mark Allen says about base training before you launch yourself into Yasso 800's etc it is interesting reading. 'improvement you can get in performance from developing your aerobic fat burning system is huge'. Makes a lot of sense. I doubt very much if I have ever trained at below my upper heart rate limit of 135. I've run 5 marathons and always hurt badly with 10km to go. I guess that engine of mine isn't as big as it should be. I'm putting together a new training plan for myself now. Ill take this on board, dust off my unused heart rate monitor, put Bart Yasso on hold and base build for the next 10 weeks. I'm still keen to increase my mileage though as others have suggested but figure this can work too. Thanks Richard. Hi Mark. I read your comment on Scott Brown's blog. It seems like you shouldn't have www in the address to access this blog. Having run 9 marathons in the past 8 years, including this past Boston, maybe I can give you some advice. The main thing being, 54km a week is not enough to run a good marathon. I was running 80 a week before this past Boston, and that was not enough either. I thought I could get away with it because all of my runs (4 per week) were hard, but I couldn't (especially for Boston, which is a hard course to run). 80 is the bare minimum, but you really need to run 100. Also do a few 30k runs on Sundays, maybe 35, but not more than that. You don't have to do this from the first week - build up to it. It would also be good to do a few longer marathon pace runs (25k?). Take one easy and one rest day before and again after. I didn't do those, basically because 25k at MP was too hard for me in training, probably meaning that my goal pace was too fast. You can also do a hard hill workout sometimes instead of the intervals, or even instead of the MP run. Each day, I generally start slowly, warming up for about 3k (5k before the MP run). I don't stretch, except before running fast (i.e., before the intervals). Hi Bob. I must admit I had reservations whether this blog would give me the feedback I really need. Yours has made a lot of sense and I thank you for it. I've had a look at your own blog which is superb - well done. I especially liked reading your brief bio where you yourself talk about the dedication required to go from an average runner to something more. I guess deep down I always knew I'd set way too higher expectations on myself when really I hadn't put in the work in the first place. You can't cheat the marathon which is why it's such a great event. Ill post again shortly where Ill outline my new plan for greatness and one day Boston. Bob is the man! And if you are ever in Tokyo look him up. 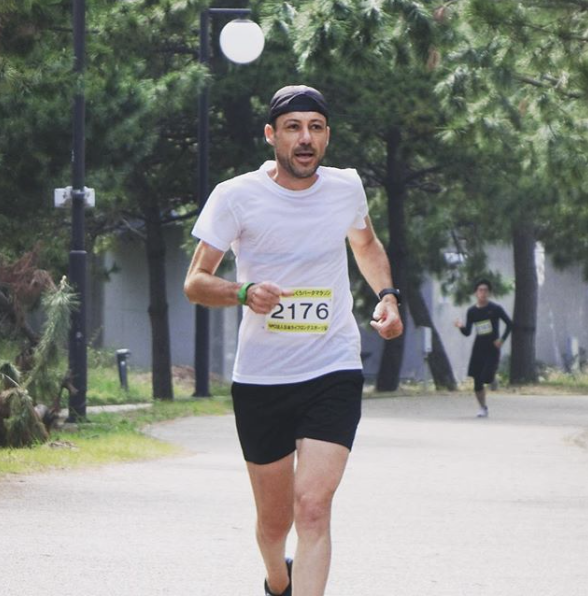 He helps the "Nanban Rengo" running club in Tokyo do it's thing. Yes, and he is right about the higher mileage. For me, I couldn't run a PB with anything under 100km a week. I need to get a few 160 weeks in too to put me in great marathon condition. Try running doubles, a shorter morning and longer second run. if you can get in 15K a day and a good 30K long run on Sunday you will be on your way. Also another guy who knows his stuff is Ewen Thompson, he comments on my blog and I'm sure he's be happy to give you some advice.